MINNESOTA CALL TAG Size 2 X 3 Custom Engraved with Name and Call Sign. Comes with pin back. MINNESOTA CALL TAG Size 1.25 X 3 Custom Engraved with Name and Call Sign. Comes with pin back. 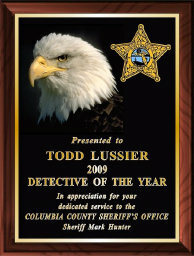 MISSISSIPPI CALL TAG Size 2 X 3 Custom Engraved with Name and Call Sign. Comes with pin back. Note when ordering more than one tag shipping will be adjusted by Jeanne. MISSOURI CALL TAG Size 2 X 3 Custom Engraved with Name and Call Sign. Comes with pin back. MISSOURI CALL TAG Size 1.25 X 3 Custom Engraved with Name and Call Sign. Comes with pin back. MONTANA CALL TAG Size 2 X 3 Custom Engraved with Name and Call Sign. Comes with pin back. Note when ordering more than one tag shipping will be adjusted by Jeanne. MONTANA CALL TAG Size 1.25 X 3 Custom Engraved with Name and Call Sign. Comes with pin back. Note when ordering more than one tag shipping will be adjusted by Jeanne. NASSAU COUNTY POLICE ARC CALL TAG Size 2 X 3 Custom Engraved with Name and Call Sign. Comes with pin back. Note when ordering more than one tag shipping will be adjusted by Jeanne. NEW HAMPSHIRE ARC CALL TAG Size 2 X 3 Custom Engraved with Name and Call Sign. Comes with pin back. Note when ordering more than one tag shipping will be adjusted by Jeanne. NEW HAMPSHIRE CALL TAG Size 2 X 3 Custom Engraved with Name and Call Sign. Comes with pin back. Note when ordering more than one tag shipping will be adjusted by Jeanne. NEW JERSEY CALL TAG Size 2 X 3 Custom Engraved with Name and Call Sign. Comes with pin back. Note when ordering more than one tag shipping will be adjusted by Jeanne. NEW JERSEY CALL TAG Size 1.25 X 3 Custom Engraved with Name and Call Sign. Comes with pin back. NEW MEXICO CALL TAG Size 2 X 3 Custom Engraved with Name and Call Sign. Comes with pin back. Note when ordering more than one tag shipping will be adjusted by Jeanne.